An ancient settlement uncovered on B.C. 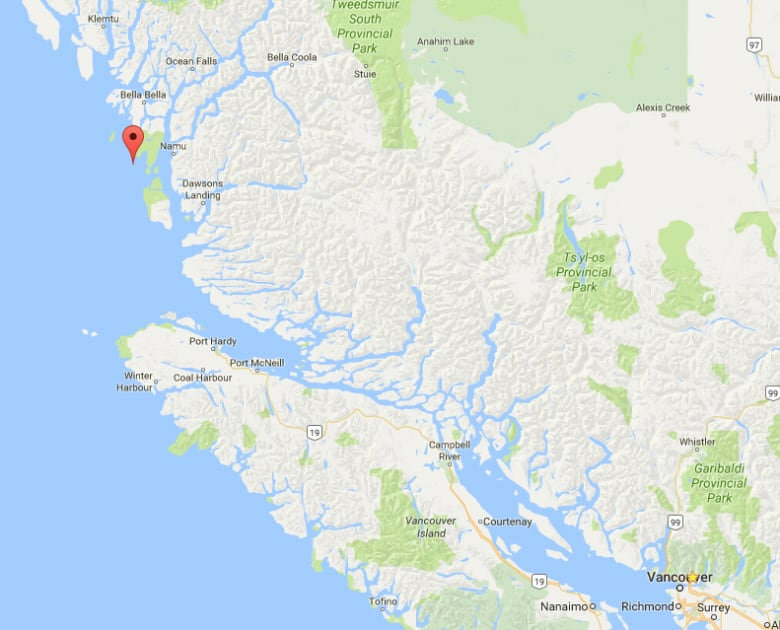 's Central Coast has been carbon dated at 14,000 years old — one of the oldest ever found on Pacific Northwest Coast — supporting the oral history of the Heiltsuk Nation. An ancient archeological find on Triquet Island on B.C. 's Central Coast is adding credence to the oral histories of the Heiltsuk Nation. "Heiltsuk oral history talks of a strip of land in that area where the excavation took place. It was a place that never froze during the ice age and it was a place where our ancestors flocked to for survival," said William Housty, a member of Heiltsuk Nation. B.C. 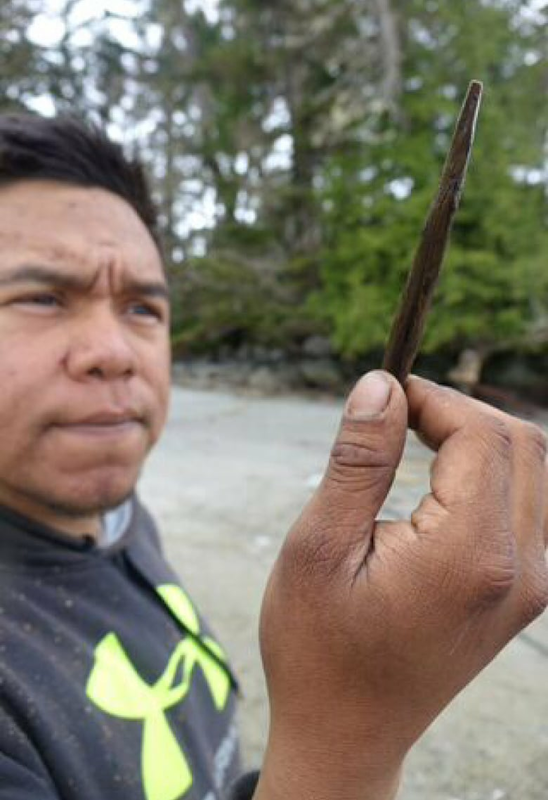 archaeologists have excavated a settlement in the area — in traditional Heiltsuk Nation territory — and dated it to 14,000 years ago, during the last ice age where glaciers covered much of North America. "This find is very important because it reaffirms a lot of the history that our people have been talking about for thousands of years," Housty said. Archeologist Alisha Gauvreau, a PhD student from the University of Victoria and a scholar with the Hakai Institute, helped uncover the find. Gauvreau and her team supported by the Hakai Institute and the Heiltsuk Nation found a number of artifacts — including carved wooden tools — at the site. By excavating through meters of soil and peat, the team identified a paleosol — a thin horizontal layer of soil — that contained a hearth-like feature. Very carefully, they were able to isolate a few tiny charcoal flakes from the hearth with tweezers and send it in for carbon dating. In November last year, tests revealed the fragments were over 14,000 years old — thousands of years older than the Roman Empire and the Egyptian pyramids. Gauvreau says the site — which is one of the oldest sites of human occupation on the Northwest coast of North America — gives a new meaning to the First Nations concept of "time immemorial." "When First Nations talk about time immemorial, it just goes to show how far back the occupation of this land goes back in deep time," she said. The finding also has broader implications for human history — namely early North Americans travelled the coast. One theory of how humans entered the Americas is they came from Asia over an Alaskan land bridge through an ice-free corridor east of the Rockies and made their way through what is now eastern and central Canada, she explained. "The alternative theory, which is supported by our data as well as evidence that has come from stone tools and other carbon dating, is people were capable of travelling by boat. From our site, it is apparent that they were rather adept sea mammal hunters," she said. Housty, who sits on the board of directors for the Heiltsuk Resource Management Department, says the scientific validation will help in future negotiations over land title and rights. "When we do go into negotiations, our oral history is what we go to the table with," Housty said. "So now we don't just have oral history, we have this archeological information. It's not just an arbitrary thing that anyone's making up ... We have a history supported from Western science and archeology." Gauvreau will be presenting her team's findings at the Society for American Archeology conference in Vancouver this week.